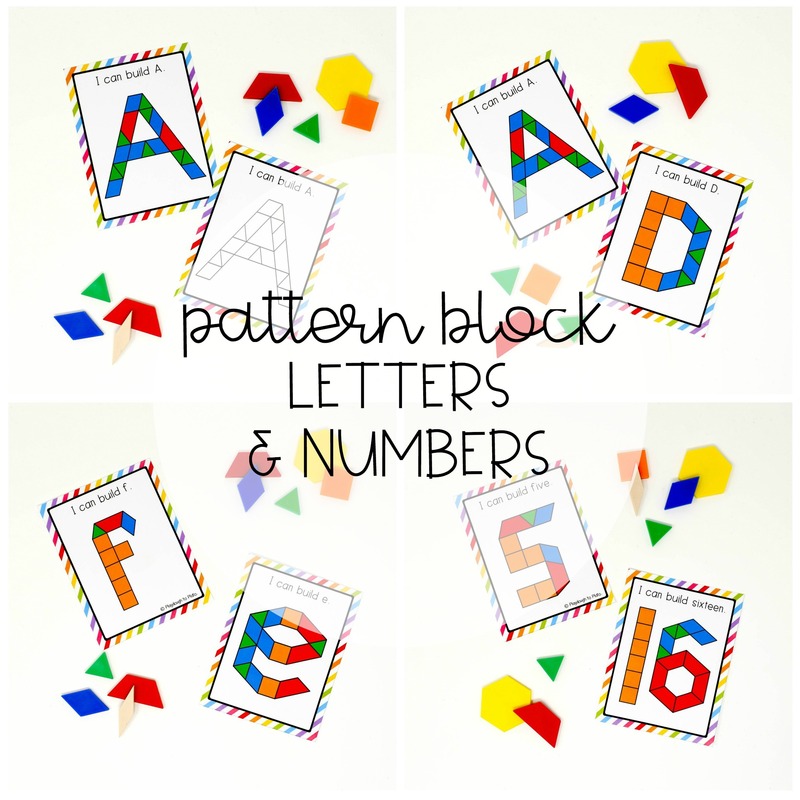 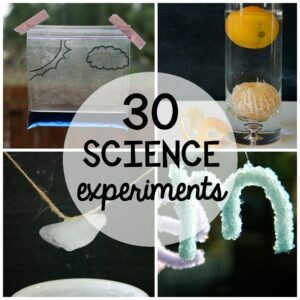 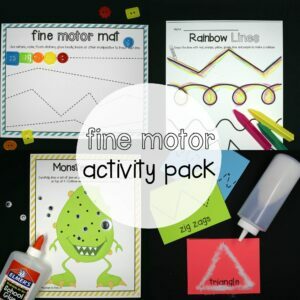 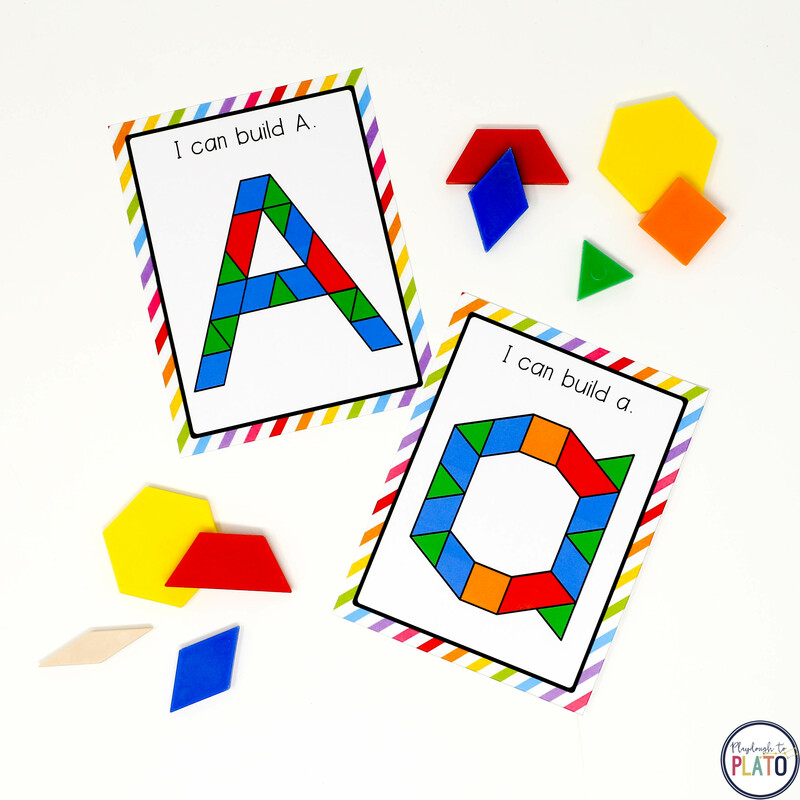 Looking for a motivating way to practice letters and numbers?! 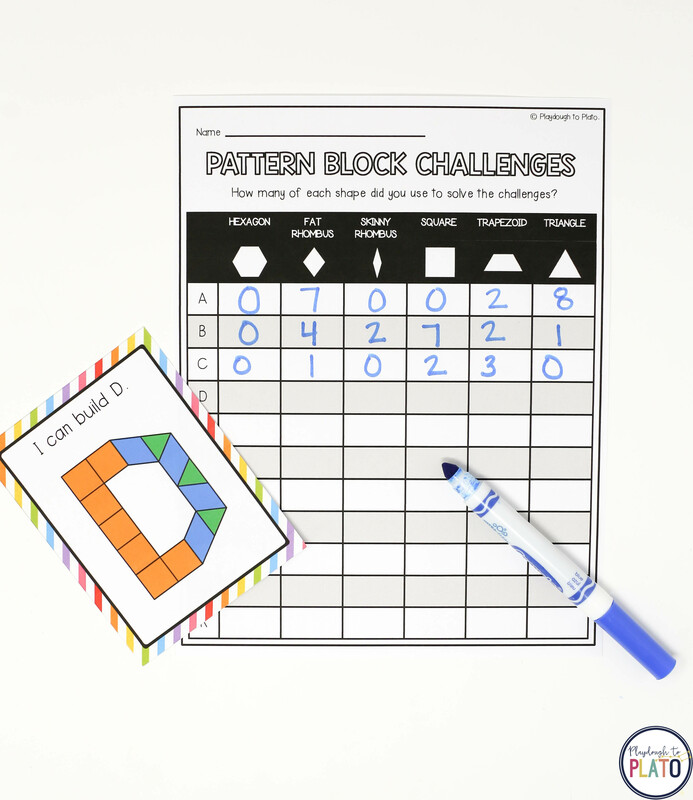 These pattern block challenges are a MUST! 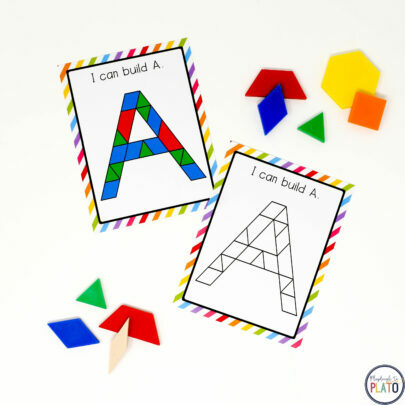 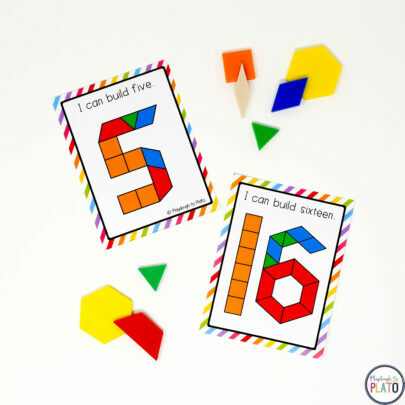 The print and play cards have kids build all 26 uppercase letters, their 26 lowercase pairs PLUS the numbers 0 to 20. 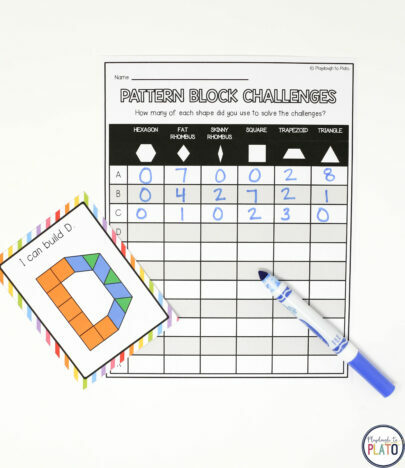 Students will have so much fun that they won’t even realize they’re working on problem solving, geometry, math vocabulary… even beginning fractions! 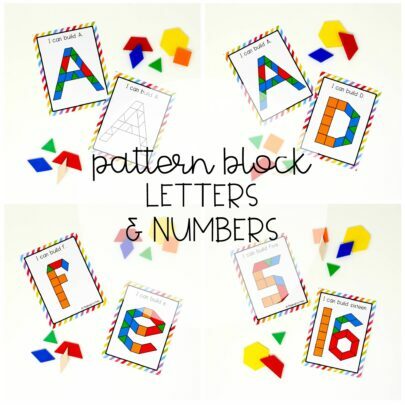 Just print the cards on cardstock, cut them apart, and grab a batch of pattern blocks. 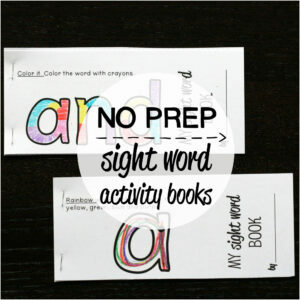 The set even includes record sheets and challenge worksheets for kids who are ready for a next step! –> A bonus challenge asking kids to pick a number or letter and find ANOTHER way to build it.